Our experienced petrographers and chemists can help determine the root cause of construction-related issues. By looking into the microstructure and chemical composition of building materials, we can help identify potential constructability issues or determine the cause of a material failure. 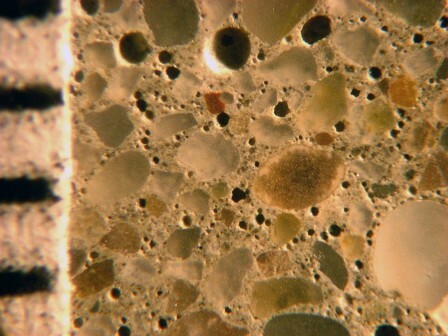 Our petrography laboratory evaluates both the macro and microstructure of materials. Our chemistry laboratory analyzes samples in conjunction with our petrographic laboratory to identify and refine our observations, providing a holistic evaluation of the materials such as concrete, aggregates, mortars, cement, clinker, coatings, tile, and grouts.